Madison Wisconsin Photography | KJay Photography in Madison! Fun and Creative Senior Pictures! Creative and beautiful senior pictures by K Jay Photos. Love this gals senior pictures. This gorgeous girl has style and it shows in her senior pictures. Not sure how her mom is going to select which senior pictures to print, she has so many to choose from! KJay Photos, Waunakee WI Photographer, is now reserving the Class of 2019! To hold a spot, contact KJay Photos today at 850-4850. Don’t forget your smile when we showcase your style! Madison WI photographer offers fun senior portraits! K Jay Photos Photographer, a fun Madison WI photographer offering fun senior portraits. Looking for something different in your senior pictures? Beautiful portraits, gorgeous outdoor settings, fun senior pictures? KJay Photos Photography, serving the Madison, WI area and beyond with senior pictures that customers love and cherish. Call today to reserve your 2017 senior portrait session! 608-850-4850, KJay Photos Photography, your Madison, WI senior portrait specialist. Madison Wisconsin Photographer offers beautiful senior pictures. KJay Photos Photography, offers beautiful senior pictures for those wanting something creative or unique. Fun Madison, WI Photographer serving the Madison, Wisconsin area and surrounding counties with beautiful portraits for high school seniors. This gorgeous Class of 2017 Portage WI senior was so much fun to photograph. Her hubby personality and beautiful smile shine through in her senior portraits. Now reserving the Class of 2018 seniors and taking appointments for this spring, summer and fall senior picture sessions. Call today to reserve your senior portrait spot! 608-850-4850. Swim senior pictures – Madison WI photographer. Every year K Jay Photos Photography is lucky enough to photograph a handful of swimmers. To be efficient with our time, most will request to be photographed in our Madison WI area photography studio. With the help of photoshop, great photography lighting and athletic swimmer subjects, here are a few favorites from last year. To reserve your senior pictures with K Jay Photos, Madison WI senior portrait photographer, all 608-850-4850 or email kim@kjayphotos.com. Now reserving the Class of 2018.
Who said senior pictures for guys couldn’t be cool? So many guys having their senior pictures taken wanted something a little more unique then the same average poses that most photographers use. K Jay Photography of Madison WI takes pride in being a photographer that isn’t like every other photographer. Madison Wisconsin seniors and beyond love that we can offer something that is different and unique when it comes to senior pictures. Guys want cool senior pictures capturing what makes them unique. Do not forget the ball or other props to showcase a favorite sport or hobby and most importantly do not forget your smile. Book your 2018 senior portraits today with K Jay Photos Photography, Madison WI or call 608-850-4850 to schedule your session. This beautiful Sun Prairie WI high school senior wanted more then just the average senior pictures when searching for a photographer. K Jay Photos Photography, serving the Madison WI area, is always up for the challenge. This senior chose a Deluxe Package, giving us the extra time to capture some pretty artistic beautiful portraits. On her check list for senior pictures included some graduation photos she could use for her graduation invite. In addition, prom dress senior pictures, water and flowers along with some urban senior portraits with a little sass. There were so many awesome choices, we just do not know how she was going to decide which ones to print. Wishing we could have made a book with her senior pictures for her to treasure for years to come. Here are just a handful of this Sun Prairie WI senior’s beautiful portraits. For more senior picture ideas, visit K Jay Photos Photograph high school senior portrait gallery. Whether it is softball, baseball or any other sport, bring the ball to your senior portrait session with K Jay Photos Photography, a Madison WI Photographer specializing in fun, creative senior pictures! Wanting creative senior pictures? Call K Jay Photography serving Madison, WI, Southern Wisconsin and beyond. Our customers rave about their senior pictures and how fun the photographer was during their portrait session. See why K Jay Photography’s customer list is growing each year. We were honored to have seniors travel to our studio last year from Janesville WI, Rio WI, Ithaca WI, Spring Green WI, Fall River WI, Sauk City WI, Portage WI, Grafton WI, McFarland WI, Evansville WI, Stoughton WI, Broadhead WI, Poynette WI, Deerfield WI, Cambria Freisland WI, River Valley WI, Loganville WI, Monona Grove WI, Oregon WI, Verona WI, Sun Prairie WI and of course Madison Wisconsin. What an honor to photograph kids from all over Southern Wisconsin. K Jay Photography is passionate about portraits and passionate about their customers. Incorporating hobbies, interests and sports into each photography session. Whether it is football, dance, swimming, baseball, paintball or you love your truck, let’s show that in your senior pictures! If you have a favorite place or setting you enjoyed growing up and exploring, let’s explore that as a setting for your senior pictures. Our Madison WI photographer will travel to your nearby Madison, WI locations with our deluxe packages. A few places we have traveled to include Middleton Wisconsin’s Pheasant Branch, DeForest WI Sunfish Pond, Sun Prairie WI parks, Lodi WI farm, Monona and the Monona Grove High School football field, etc. Please note that 99% of what you see in our high school senior portrait gallery was shot in Waunakee WI nearby our photography studio. We have plenty of ideas and perfect settings nearby. So what are you waiting for? Let’s discuss your senior portraits and get your session on our calendar today while we still have openings. Call K Jay today and book your senior portrait session. Now reserving the Class of 2018! We are in full swing with high school senior portraits and loving every minute of it and it shows in these unique portraits. K Jay Photos Photography, Madison WI Photographer, senior pictures are our main focus this time of year, serving Wisconsin high school seniors traveling from near and far. Capturing sports, passions and just unique senior portraits. Using great light techniques and making the most of every single shot with the camera. Striving to capture unique senior pictures that you will love and cherish a lifetime. Call Madison WI Photographer, Kimberly Arneson, at 608-850-4850 or email kim@kjayphotos.com to reserve your session today! 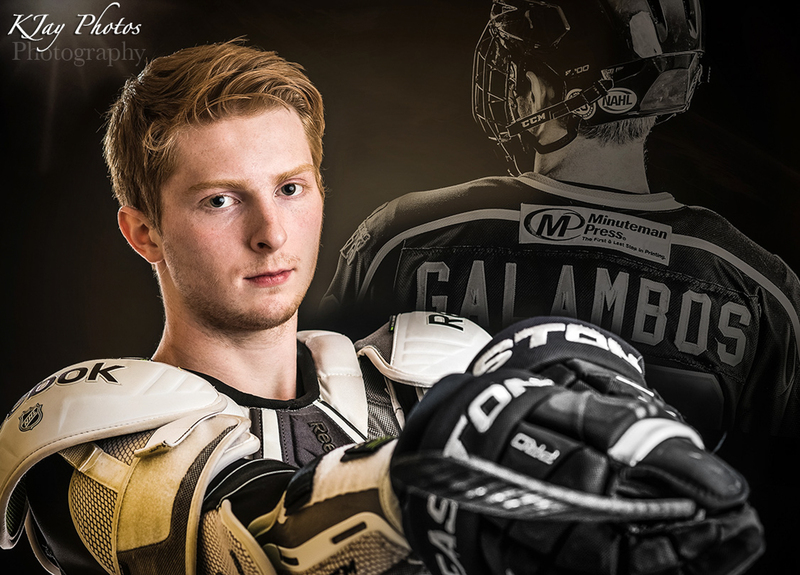 This California boy loves hockey and chose K Jay Photos Photography, Madison WI Photographer specializing in high school senior portraits, for his senior pictures. He has traveled the states and lived in various hockey host homes to get as much competitive hockey as he can get. An athlete with style, dressed up and making great first impressions at such a young age. He also has heart, and brought with the puck that he scored his first goal with in life. I can tell you that this hockey player will be achieving many more goals in years to come. #Impressed. 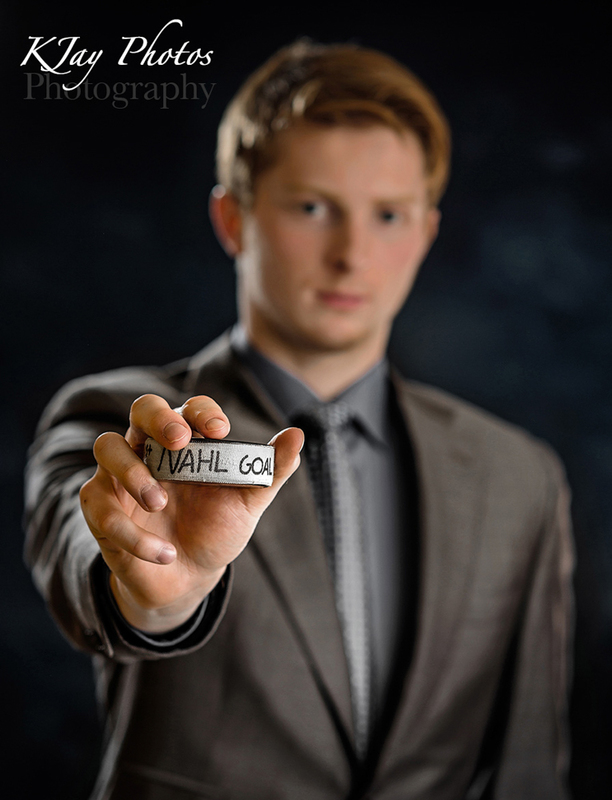 #HockeySeniorPictures #HockeyPictures K Jay Photos Photography, Madison WI Photographer strives to capture what makes you you in your senior portraits. For more information on K Jay Photos Photography, visit www.kjayportraits.com.